After I wrote my blog on the 2012 Nhill Fly In I was invited by John Deckert a member of the Nhill Aviation Heritage Centre to visit the workshops in Nhill (in country Victoria, Australia) where the various projects associated with their restoration of a former Royal Australian Air Force (RAAF), World War Two era, British designed Avro Anson Mk.I twin-engined maritime patrol, air crew training and liaison aircraft are taking place. 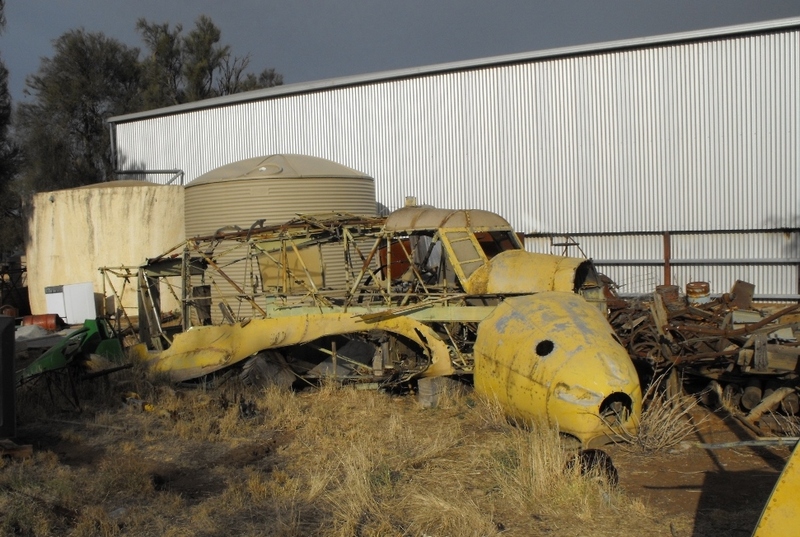 This particular Avro Anson was built in 1941 and recovered as a virtual wreck from a Wimmera farm in 2009. 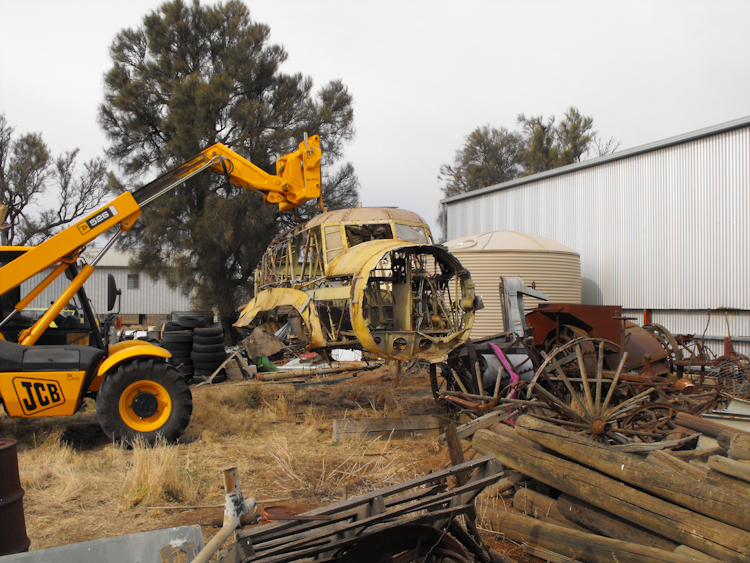 The Nhill Aviation Heritage Centre will build a new museum to house the Avro Anson along with the associated memorabilia they have collected at the Nhill Aerodrome, a former Royal Australian Air Force (RAAF) training air base in World War Two (home to RAAF No. 2 Air Navigation School, No. 1 Operation Training Unit, No. 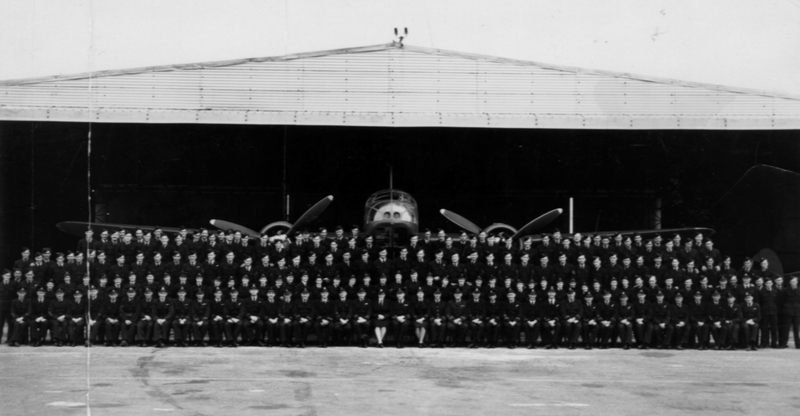 97 Squadron Reserve and the Air Armament and Gas School). 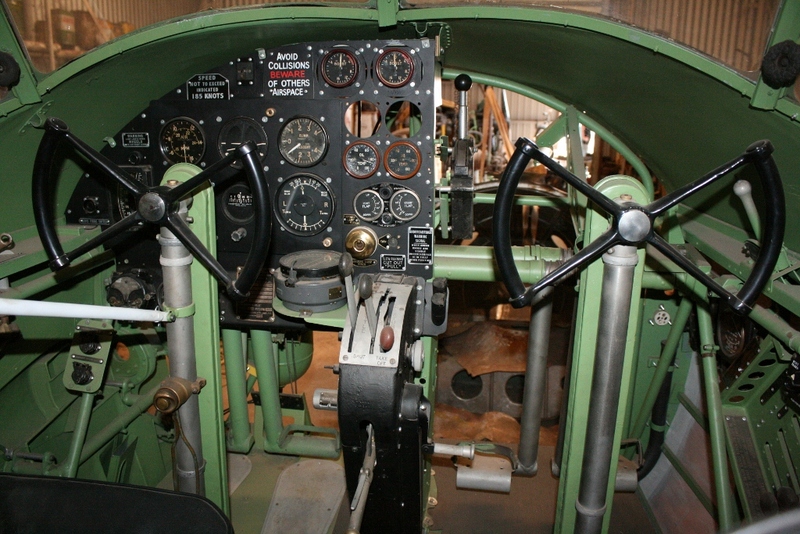 The base operated from 1941-1946 predominately flying the Anson to conduct air navigation and armaments training, including bombing training which was completed over the nearby Little Desert (became a National Park in 1968). 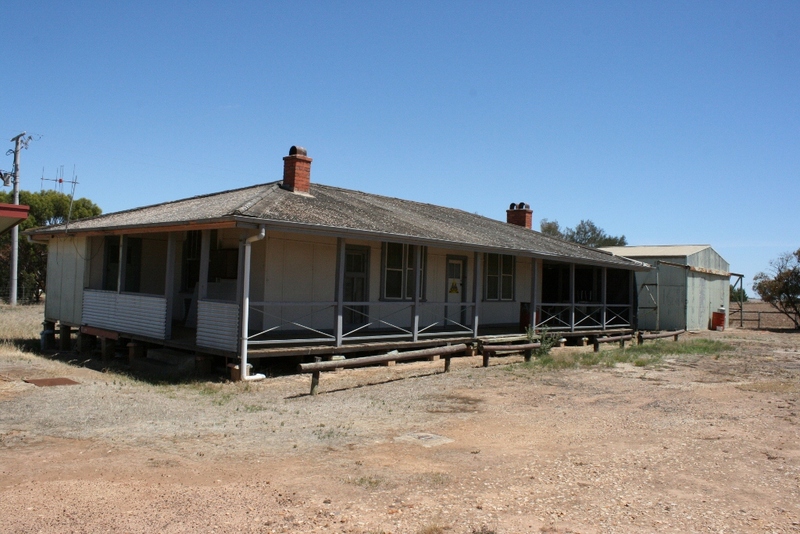 They will also utilise the surviving buildings at the aerodrome from that era to display the aviation heritage of the Wimmera region and pay tribute to the air force personnel who trained there. 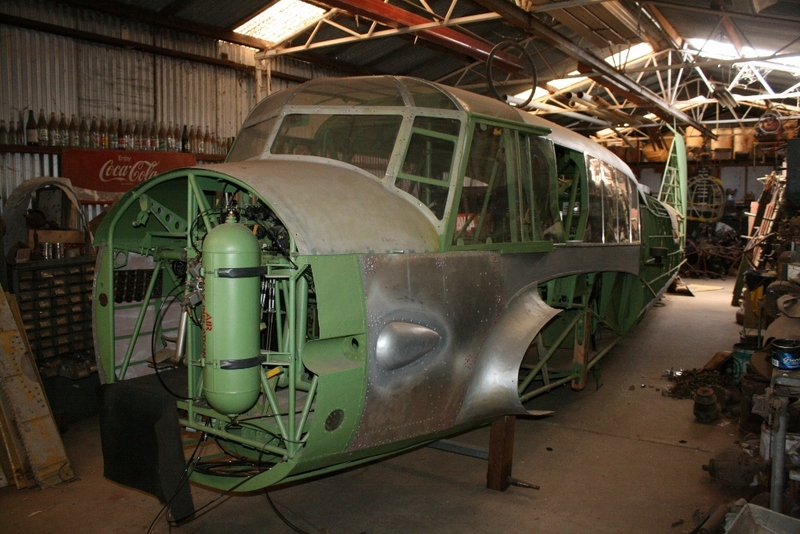 It is hoped the museum will be able to display the fully restored Anson in approximately 3 years time. 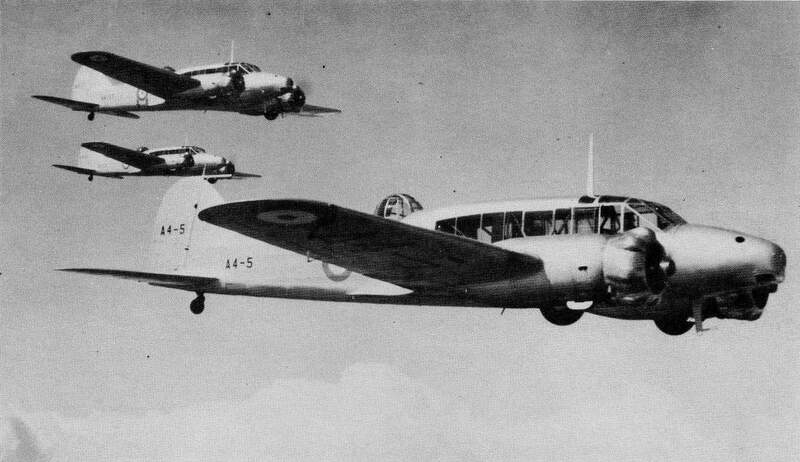 The Avro Anson known as “Faithful Annie” was an integral training aircraft for pilots, observers and navigators in the Empire Air Training Scheme that operated in many Commonwealth countries including Britain, Canada and Australia during World War Two. 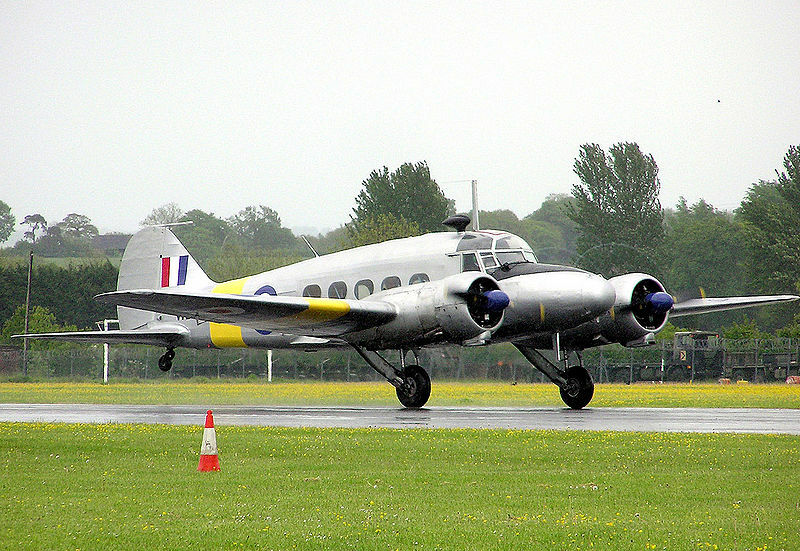 The Anson was in production from 1935 to 1952 and over 11,000 were built. 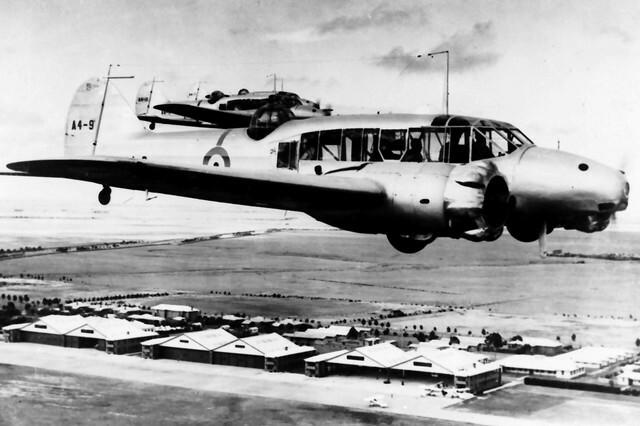 1,028 were operated by the RAAF (the first were delivered in 1936 and 937 were delivered between 1940-1944) making it the most prolific aircraft type in the RAAF (the last one was retired in 1955). They were primarily used by the RAAF for training purposes with some operating in a maritime patrol capacity looking for Japanese submarines and escorting convoys during World War Two. July 27th, 1941 – Allocated to No. 1 Aircraft Depot at Laverton, Victoria. December 6th, 1941 – Transferred to No. 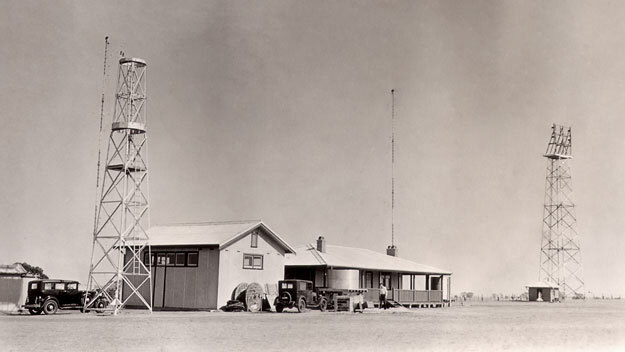 6 Service Flying Training School in Mallala, South Australia (a gun turret was fitted later that month). 6 SFTS was a flight school to further enhance the skills of aircrew who had completed elementary flight training before they were transferred to a specialist school for more complex training and then on to operational squadrons. August 4th, 1942 – Transferred to No. 100 Squadron (formed in 1942), a torpedo-bomber squadron then based in Port Moresby, New Guinea. The squadron mostly operated Bristol Beaufort bombers against the Japanese. The aircraft later transferred to No.67 Squadron (formed in January, 1943) on maritime-patrol duties. The squadron was initially based in Laverton, Victoria but operated from different bases in Victoria and New South Wales during the war. 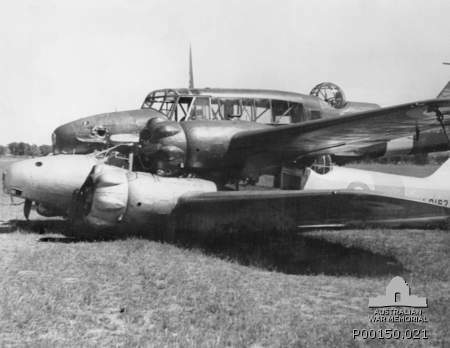 October 18th, 1944 – Sent to Guinea Airways for what I gather was a major service overhaul (the company conducted aircraft repair work and maintenance on behalf of the RAAF during World War Two). Guinea Airways was a South Australian airline formed in 1926 that originally operated in New Guinea to service gold fields but with the Japanese invasion there in 1942 they began providing air transport and passenger services on the Adelaide to Darwin route in Australia. April 2nd, 1945 – Returned to No. 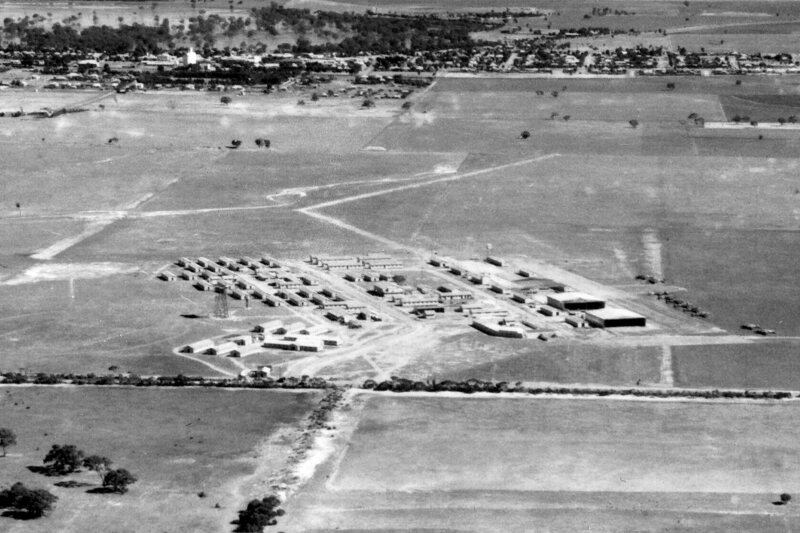 6 Service Flying Training School at Mallala which in January 1946 became Care & Maintenance Unit Mallala. 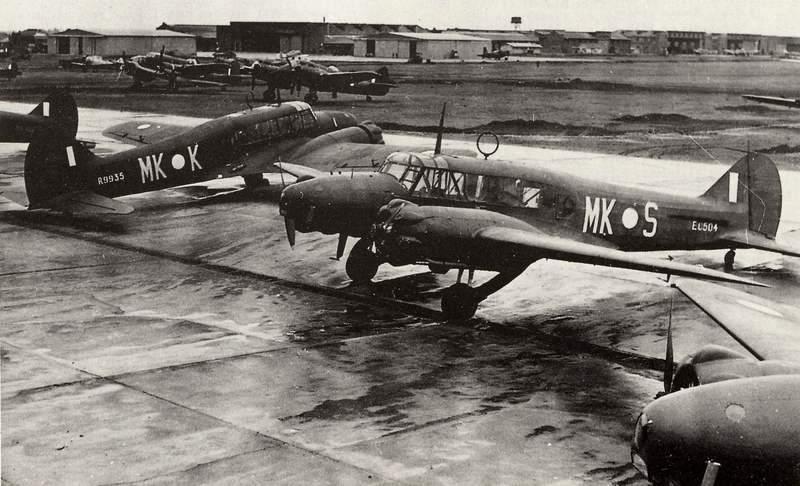 December 23rd, 1946 – Transferred to the RAAF Air & Ground Radio School in Ballarat, Victoria (renamed the School of Radio from 1952) where the Anson would have been used as an instructional airframe. 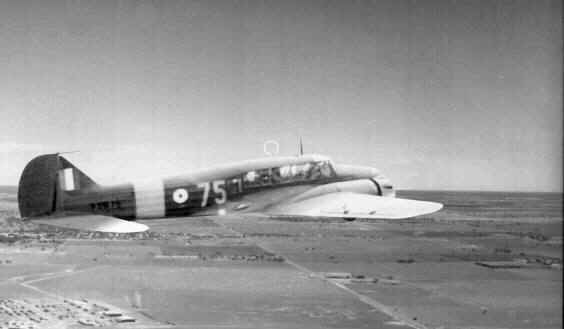 April 24th, 1953 – Put up for sale, Anson W2364 then ended it’s 12 year career in the RAAF. After 1953 Anson W2364 was not placed on the Civil Aviation Register and did not take to the air again. 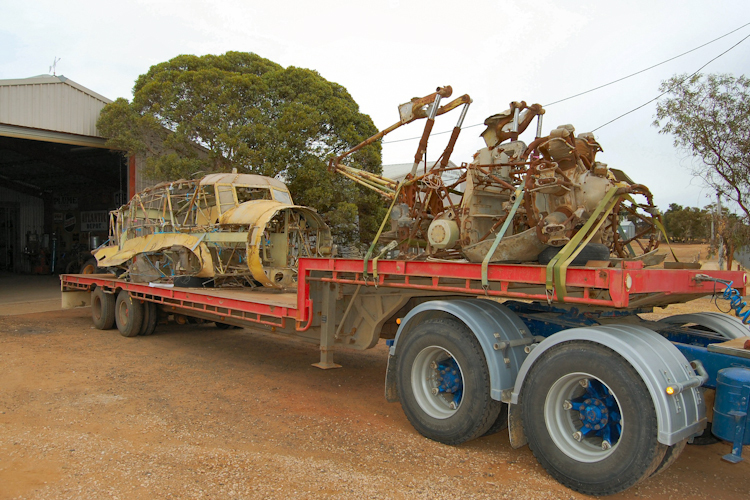 The airframe is known to have changed hands a few times after its sale by the RAAF and was basically used for scrap parts on Wimmera-Mallee farms. 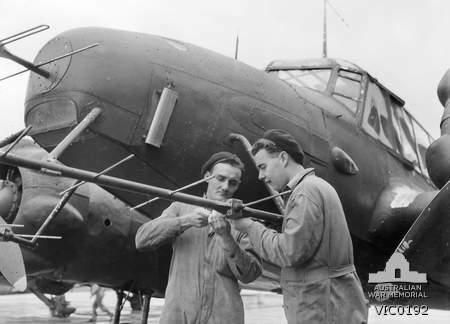 Steel components of the airframe were used for farm machinery repairs and parts of it such as the tail section and nose were cut off with an axe! 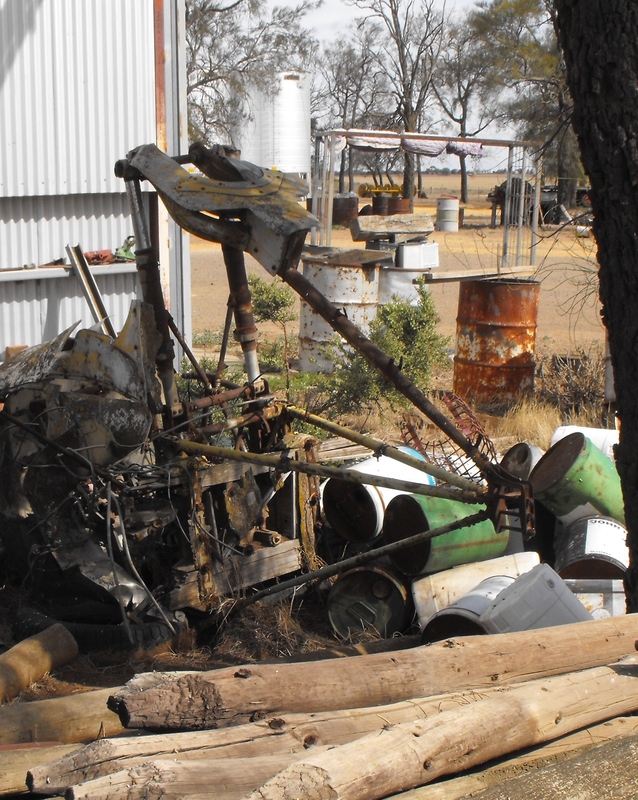 Graham Drage a Warracknabeal district farmer with an interest in aviation purchased what remained of the aircraft to save it from further destruction and kept it on his farm for many years. 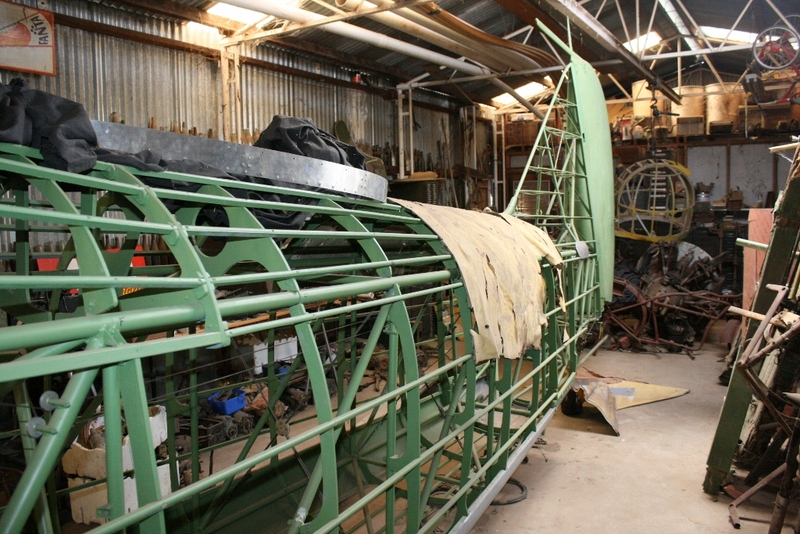 In 2008 the Nhill Aviation Heritage Centre began an extensive search for a suitable Anson and a chance discussion with Graham Drage led to this airframe being donated for restoration in 2009. 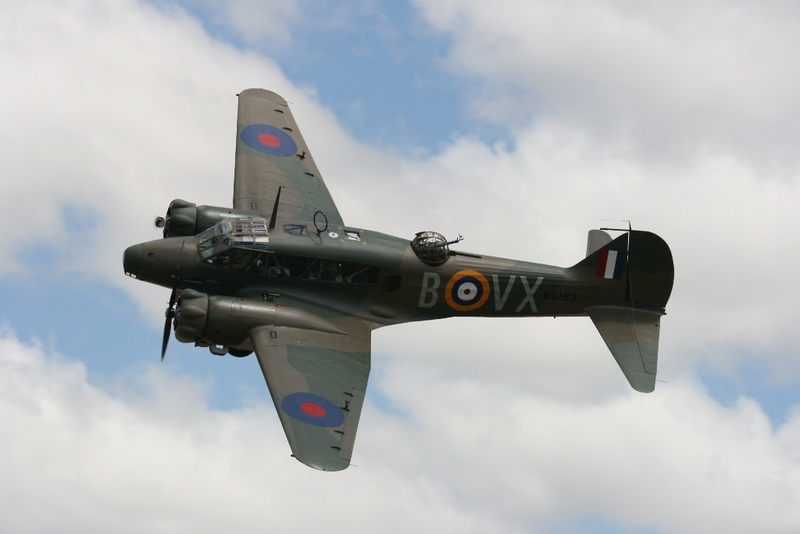 The Avro Anson was constructed with a fabric covered steel tube fuselage frame and wooden wings. 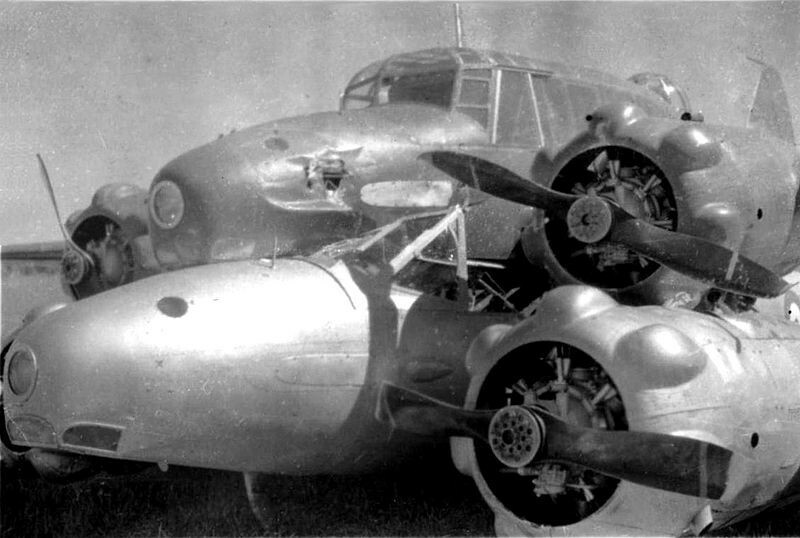 After almost 60 years out in the open and being taken apart for the metal, the airframe was understandably in poor condition and 3.5 metres of the rear of the Anson was actually missing! 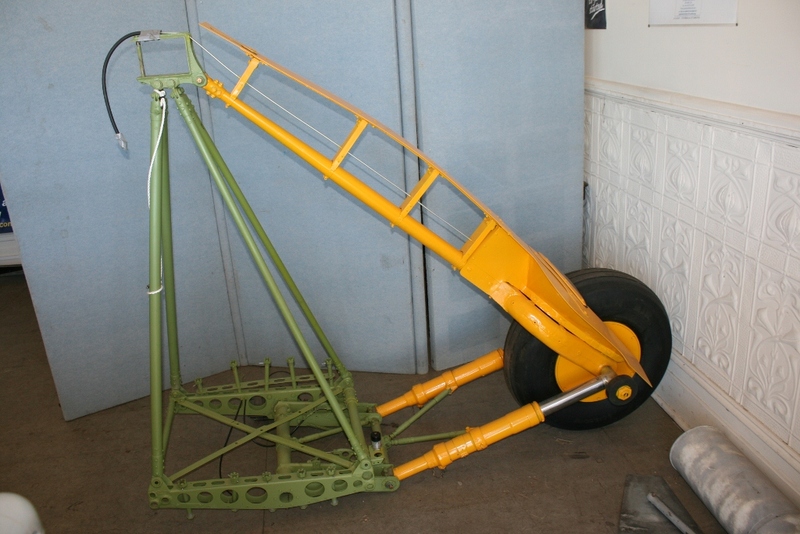 As such a new rear section of the aircraft had to be painstakingly rebuilt for the restoration project. 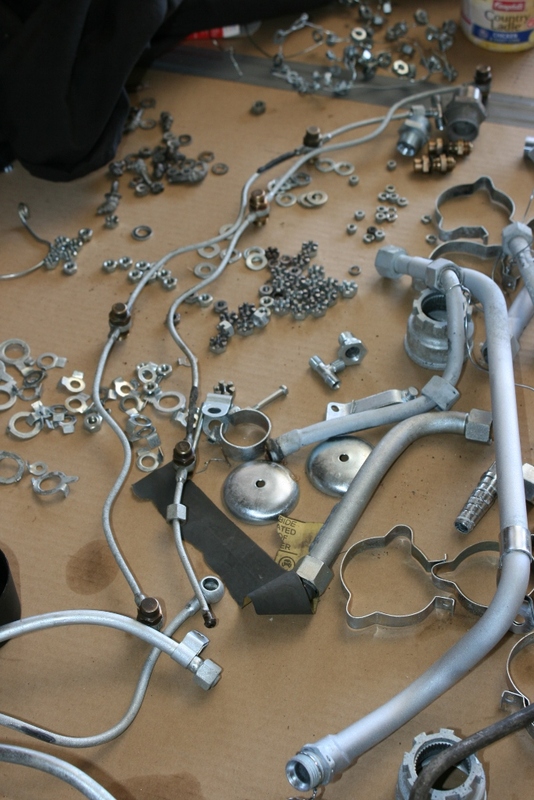 Initially the restoration engineering process had to have an element of educated guesses with the help of photos but the remanufacturing of parts has since been significantly aided by sourcing original design plans from the UK. Restoration Manager Mick Kingwell has been primarily responsible for putting in an immense amount of work (well over 1,000 hours to date) to accurately rebuild and restore the airframe fuselage and cabin (including control columns, instrument panels, radio equipment etc.). 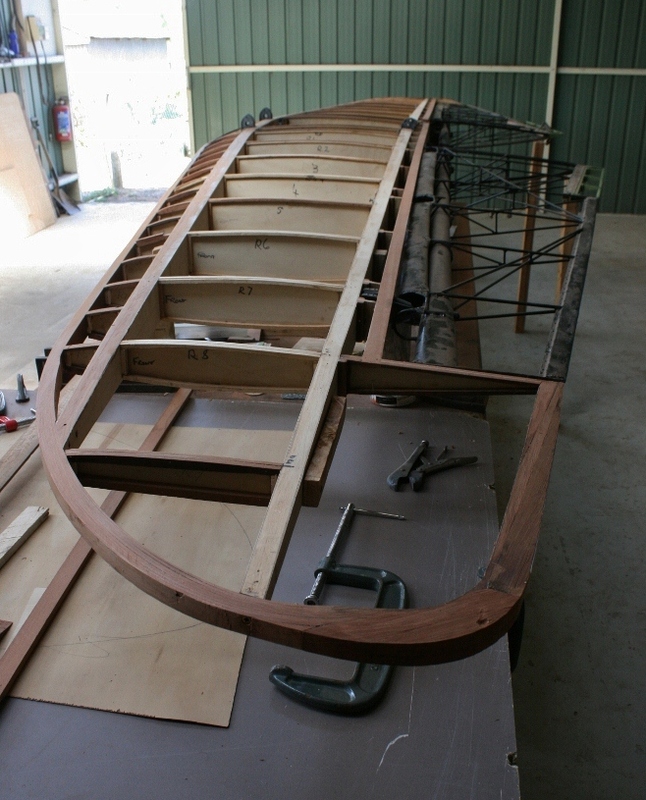 His work is fantastic and given where he started, Mick has achieved so much in bringing the airframe back together. 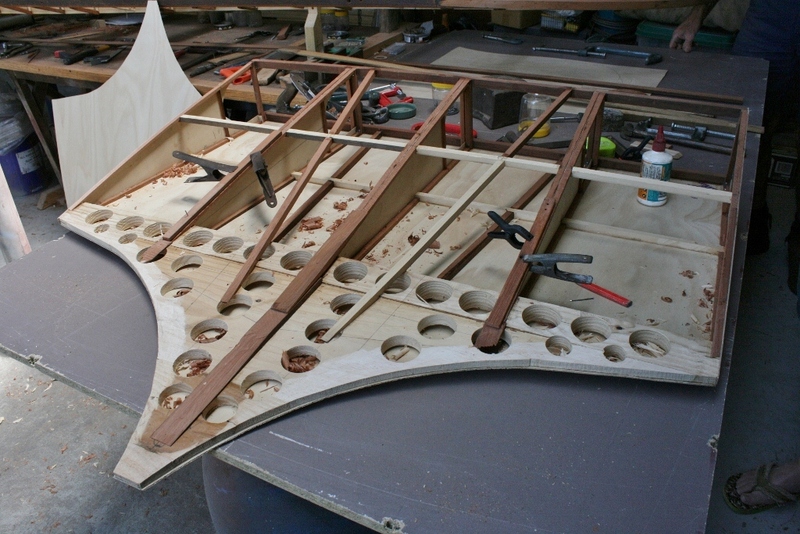 The tail rudder and tailplane of the Avro Anson are predominately made of wood. 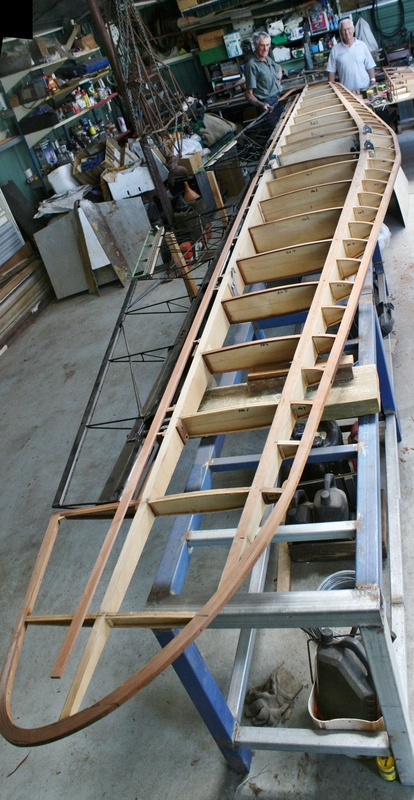 The original framework had badly deteriorated over the years, as such a new tail plane has been meticulously crafted by Len Creek initially using original but badly decayed examples and then aided with the design plans from the UK as a guide to return them to the original state (his past experience in aircraft modelling has been a great asset). Len’s work has progressed nicely and the framework is rapidly approaching being covered over with plywood to look as it once did (unfortunately this will also hide all his hard work!). 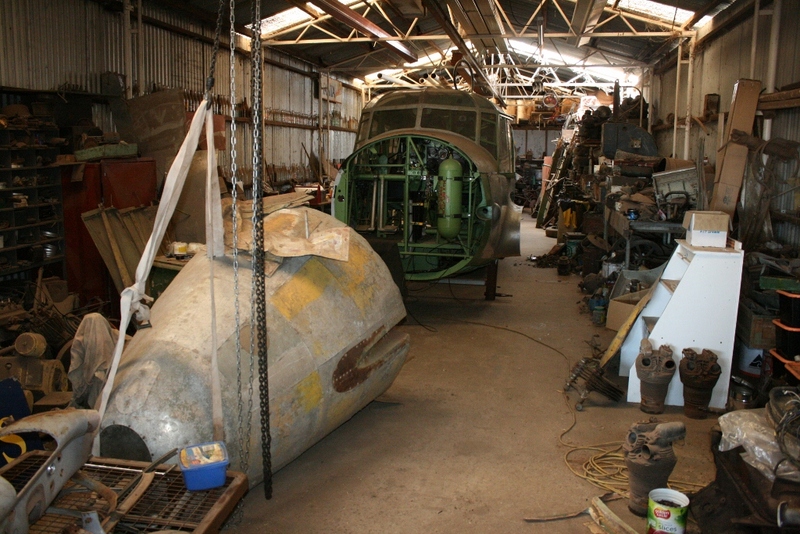 Many original parts for the restoration project that were not on the surviving airframe have also been sourced and donated from around the country and afar to ensure the completed project will be as accurate as possible (it is intended to have the Anson achieve taxiing status but it will never fly again). 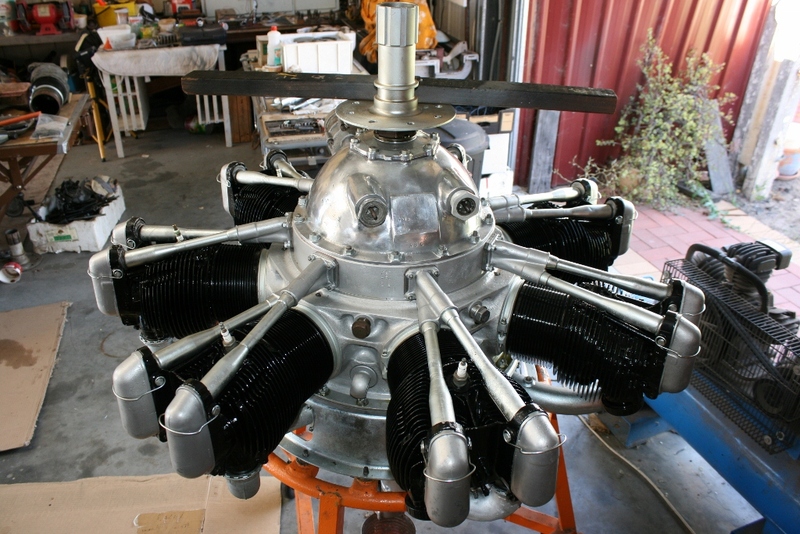 Wimpey Reichelt has been working on restoring the undercarriage and the two Armstrong-Siddeley Cheetah Mk.IX seven-cylinder radial engines that powered this Anson. The undercarriage took 450 hours to complete and all this hard work really shows in the level of detail to bring it back to brand new condition. 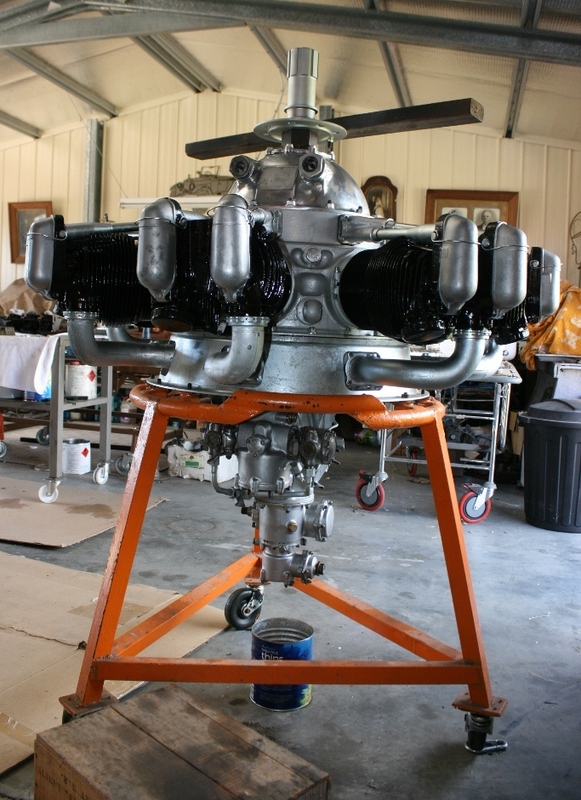 Wimpey has stopped counting how many hours he has spent on the engines but the work he is doing restoring and reconstructing them from original and remanufactured parts is immaculate. What he has done with parts that originally looked like they were only good for the rubbish tip is fantastic and the engines are really starting to look like new again! 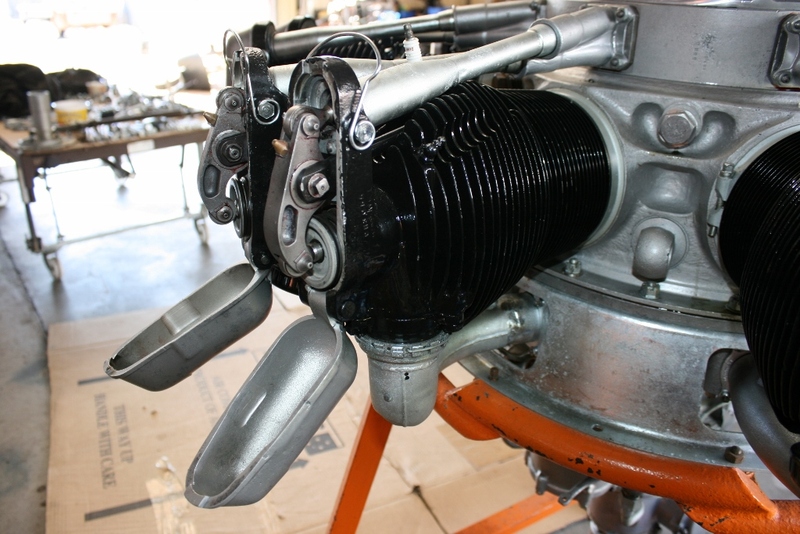 It is planned to be able to conduct taxiing displays of the Anson (it will not fly again), therefore the engines need to not only look like they once did, they need to be able to be fired up and running, hence the level of detail and work in finishing their restoration. 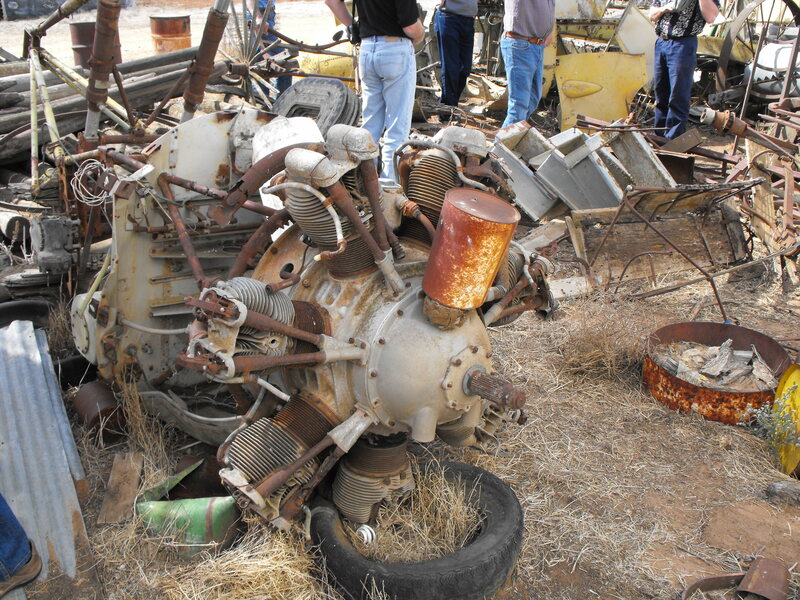 The restoration of this Anson engine has come a long way since 2009! Four years in and the restoration team have come a long way from the virtual wreck they originally started with! 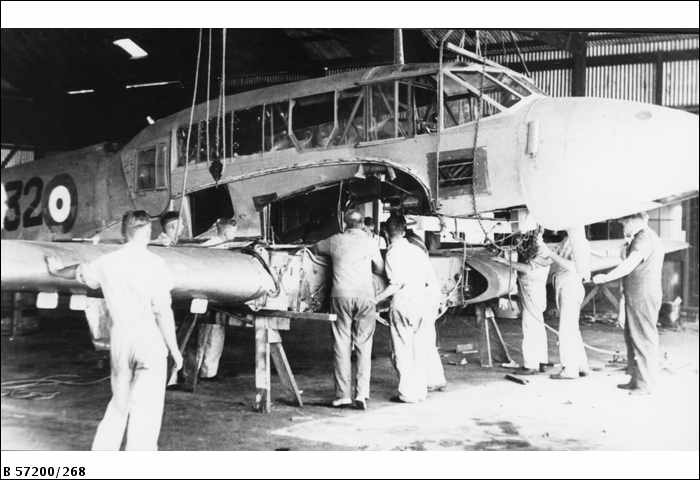 The Anson is about 50% complete and their work is of world-class in bringing the aircraft back to its former shape again. 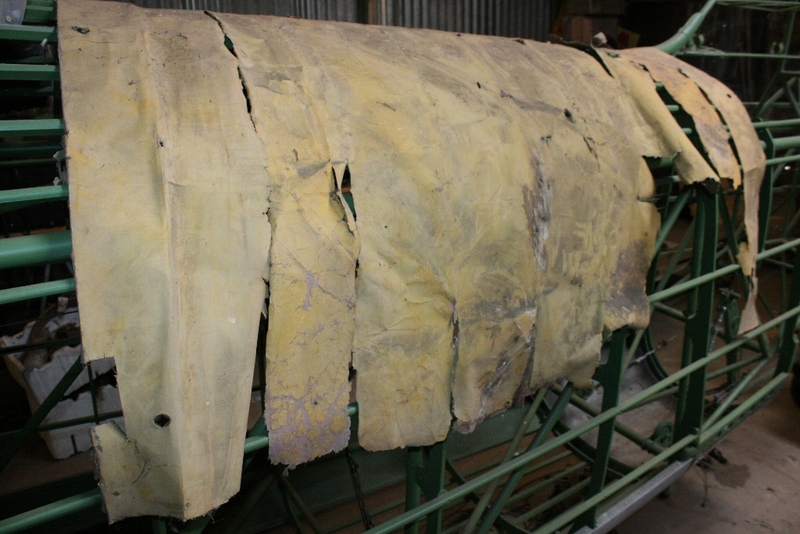 The team of restorers are working at a fantastic pace and they are now looking at starting the construction of the wooden wings (later models had metal wings). 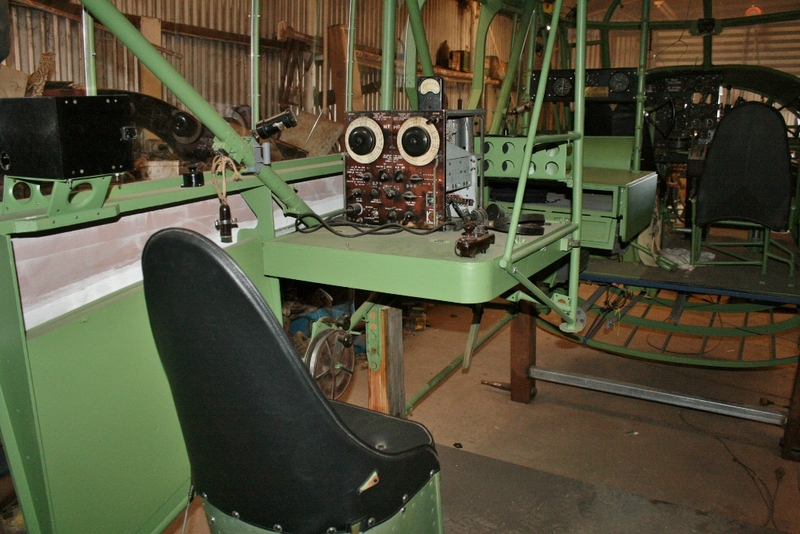 Once the airframe and engine restoration is complete, the inner wings, undercarriage and engines will be fitted to the aircraft and the fuselage fabric will also be attached and doped. 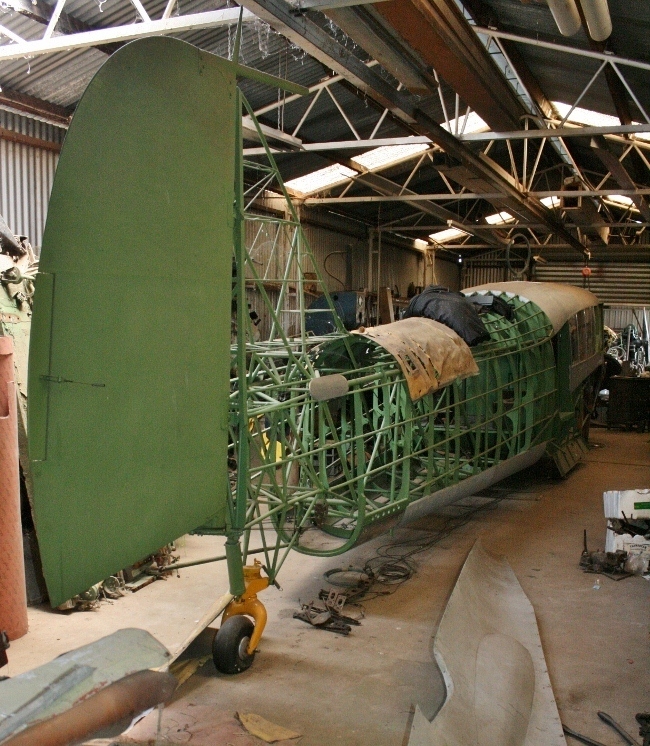 This will allow the Anson to be moved to its future museum home (construction will commence shortly and is expected to be completed by July 2013) and eventually have the outer wings fitted (once they are built). 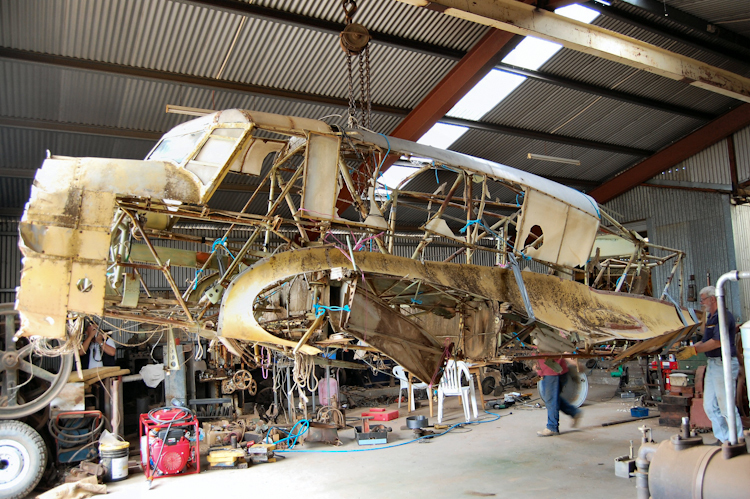 If you would like to contribute to the cause and help fund the Anson restoration please take a look at the Nhill Aviation Heritage Centre website for information on how to do so. Australian donations over $2 are tax-deductible and would be most welcome I am sure. In addition to seeing the restoration project John Deckert also took me to visit the old Aeradio Station on the edge of the Nhill Aerodrome. It is possibly the last of its type in Australia. 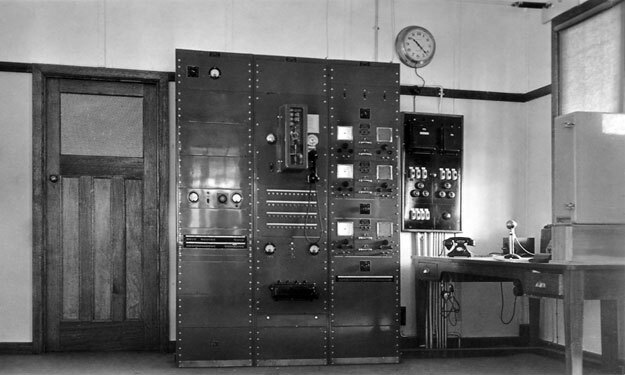 Twelve were built by Amalgamated Wireless Australasia (AWA) in 1938-1939 at aerodromes around the country to provide communications and aircraft guidance to improve aerodrome safety (they operated for around 35 years before being replaced with more modern alternatives). 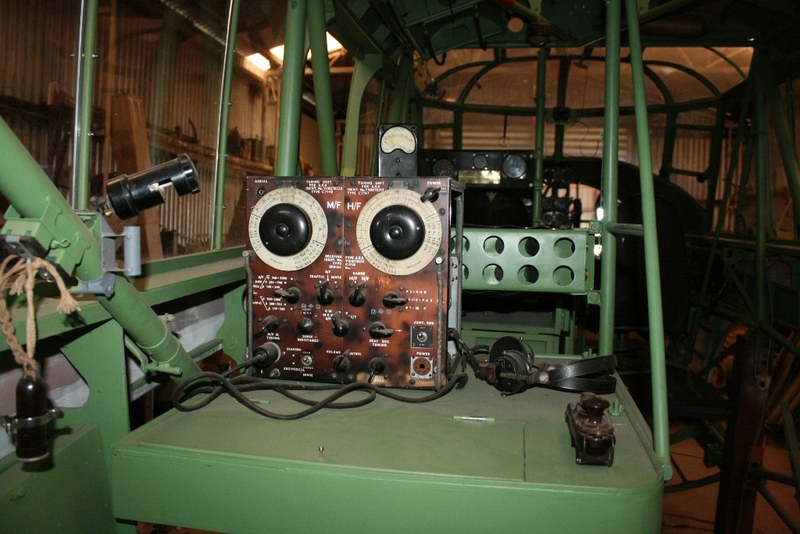 It is hoped to restore the building and one day equip it with original radio gear to form a part of the aviation museum. 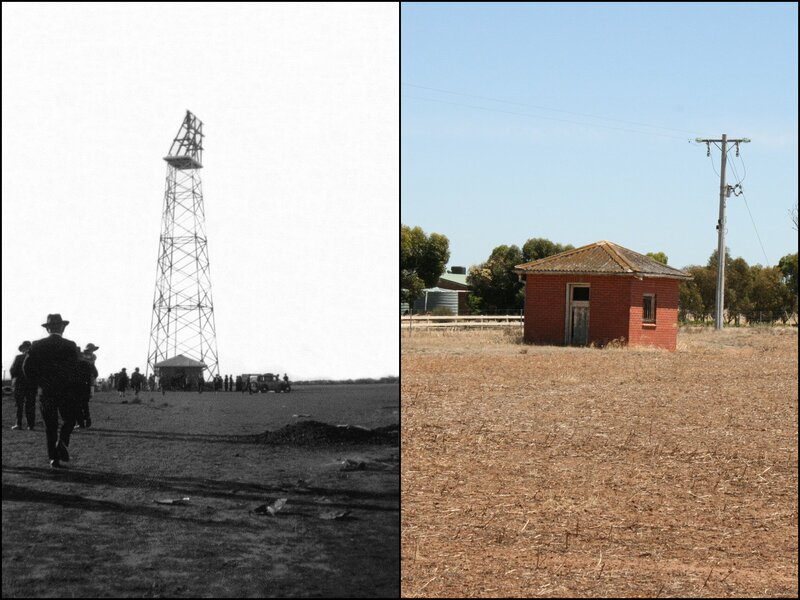 The World War Two era Flight Operations building at the aerodrome has also been restored and this forms another important part of Nhill’s aviation history. A special thanks to everyone I met who is involved with the Nhill Aviation Heritage Centre (John and Bev Deckert, Mick Kingwill, Len and Jenny Creek and Wimpey Reichelt) for making my visits possible and for your hospitality. It was a pleasure to meet you all and I had a fantastic time! The Avro Anson also has a special meaning to me in general as it is one of the aircraft (along with the similar Airspeed Oxford) in which my Grandfather as a cadet was undergoing flight crew training in towards the end of World War Two when he was in the RAAF Air Training Corps at the Point Cook airbase near Melbourne (Number 4 Squadron). 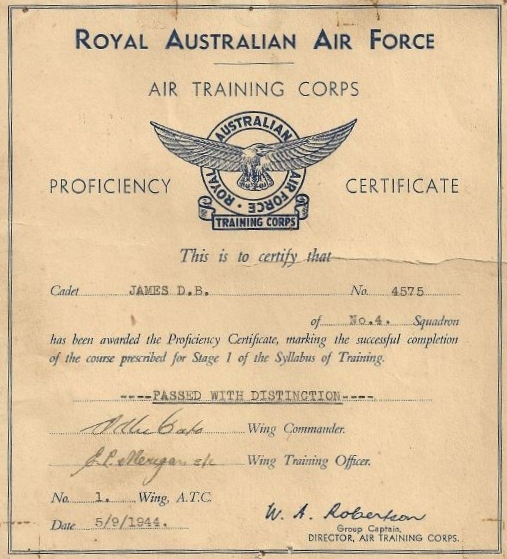 The ATC provided pre-entry training for air and ground crews to the RAAF (for 16-18 year olds). As a nice complement to the experience of seeing the Nhill restoration project, I have recently attended the Wings Over Wairarapa 2013 air show in New Zealand which included a flying Avro Anson Mk.I in the display (restored over 10 years by Bill Reid in NZ and the only one flying in full military configuration. 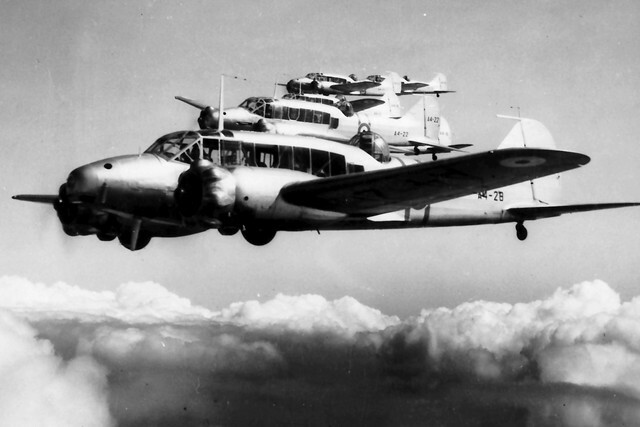 There is another flying Anson in the UK operated by Air Atlantique but it was a was operated by a communications flight in the RAF and has a different fuselage configuration without a turret). It was fantastic to see this machine take to the air and it was far more nimble and maneuverable than I expected. The worlds only flying de Havilland Mosquito also flew at the air show in NZ. Great stuff! 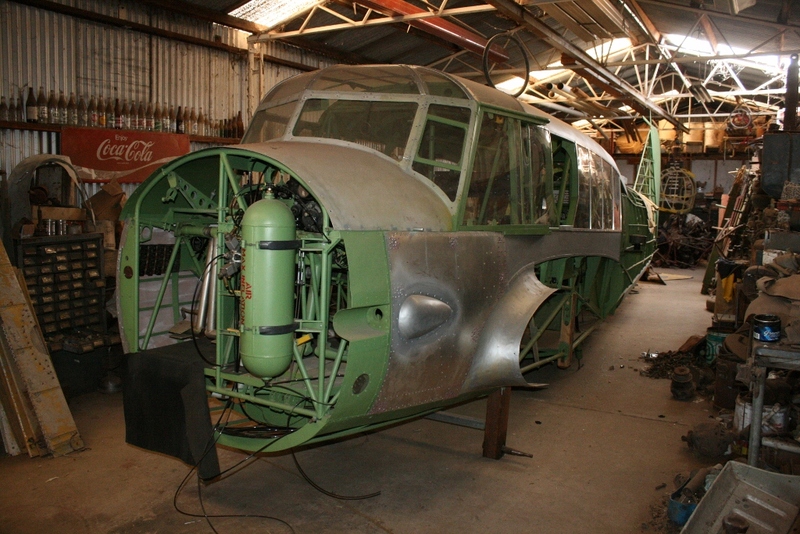 Great pictures of the Anson restoration. Could I use some of them in a book I’ve been writing about No. 5 Service Flying Training School, Canada? They flew Ansons at this Station. Thanks. Which images were you considering for use in the book? I was hoping to get permission to use image numbers 8599, 8636 and 8656. 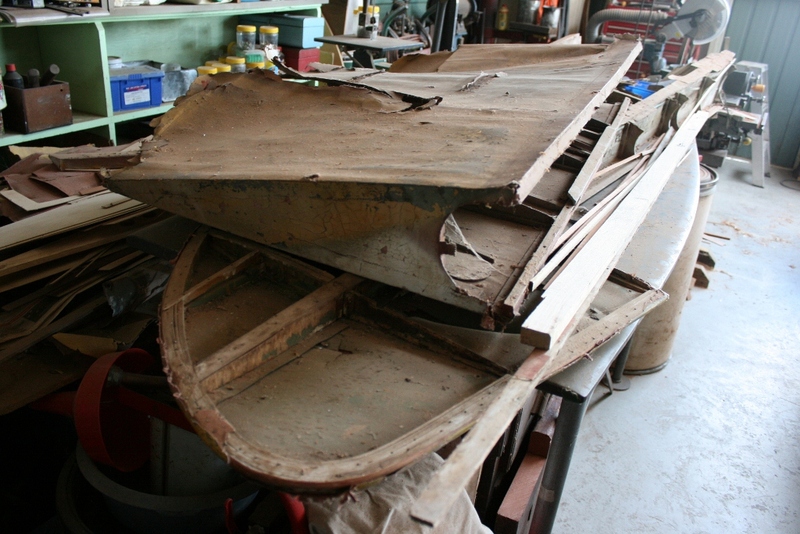 These are pictures of the unrestored wooden wing and metal fuselage and the restored cockpit. A wonderful effort Dean. Thanks. Thanks John. I look forward to seeing how the project progresses and look forward to seeing the museum! What an outstanding project – the attention to detail is incredible! Congratualtions to the restoration team on their progress thus far! I’m currently undertaking an Avro Anson project of a different kind and have notified the secretary of the Nhill Aviation Heritage Centre. Great to hear. They have advanced significantly since my last visit. This is the project that I’m working on. The Grand Opening of the new NAHC hangar will be on May 23, 2014. Please give them as much support as possible! Congratulations on the successful completion of the AVRO Anson Project and the wonderful numerous videos of this aircraft in flight. … Is there an opportunity to request Dimensional Technical Drawing information on the A.W.11 Manually Operated Mid-Upper Gun Turret to permit creation of a CAD Drawing which will enable the fabrication and completion of a scale model ? … Does anyone have information on the location of any of these turrets, specifically the metal frame ? … Thank You in advance for any information ! 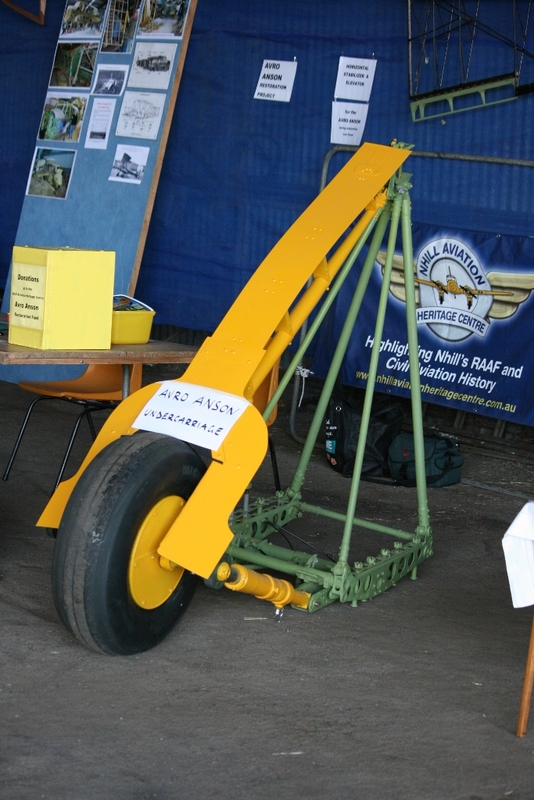 Hi Deano, is it possible for you to contact, or, provide me with contact details in order to see if anyone at NHAC could provide me with either a dimensional technical drawing or hand drawn sketch of the Anson mid-upper turret as depicted in the photograph with “Project Manager Mick” standing near the forward fuselage section? … The turret painted yellow primer is at the rear of the workshop visible over his left shoulder. I would be willing to consider (within reason) a payment or donation towards the rebuild of their Anson for their time and trouble. I require these detailed dimensions in order to complete a 3D/CAD drawing to enable the fabrication of a pair of 1/2 inch – 1 foot scale model turrets. Thank You in advance, Kind Regards, Alan (Okanagan Valley, British Columbia, Canada). Thank You Deano your assistance is very much appreciated in my endeavour to complete this mini project for my father in Calgary, Alberta. I flew in Avro Anson V H A K U Casino to Mascot in mid 1947! the Air line was New England Airways, me being a kid 11 yrs. the Captan was Arthur Butler of aviation fame, later Butler Air Transport. Still have the tickets. A safe reliable old machine, magnificent to see one being restored. An X Snr. 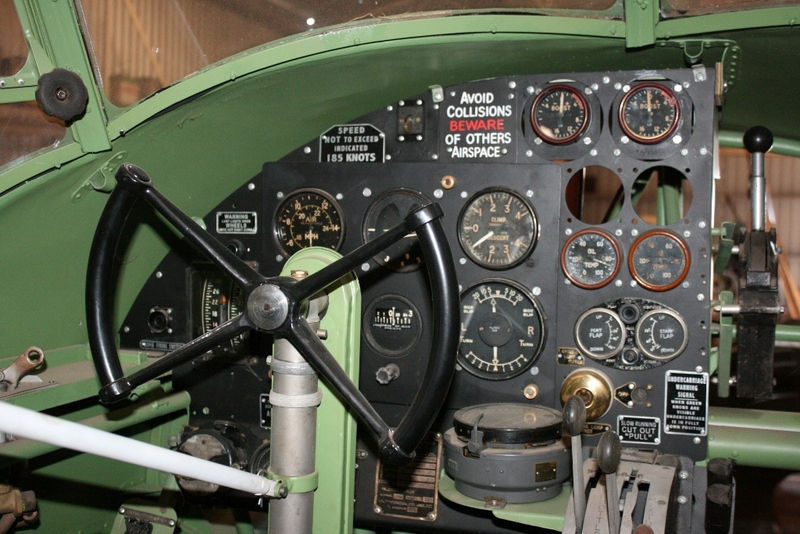 head Teacher T AFE,one of my teachers bought an Avro Anson, Colin Wear, he later lived near Stroud, he is decd. He also owned an Auster a/c.richard. Hi Richard, thanks for taking a look. You grew up in interesting times! Thanks Deano of for passing on my post to John and letting me have his contact details. Keep up your great work.